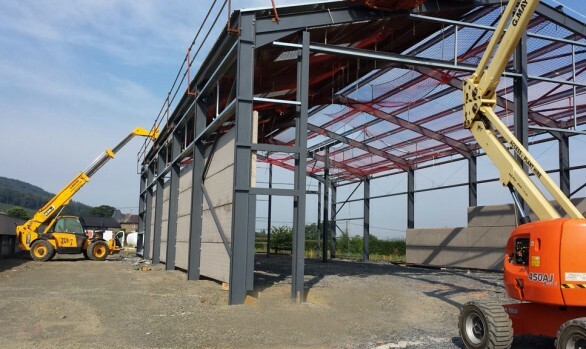 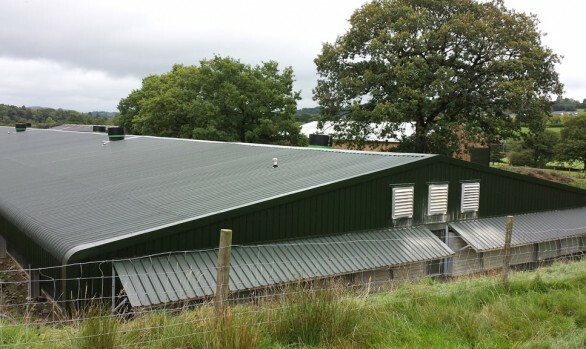 IEC has designed and installed a complete biomass package to help Farmpoint Ltd combat the rising energy costs of heating six broiler houses. 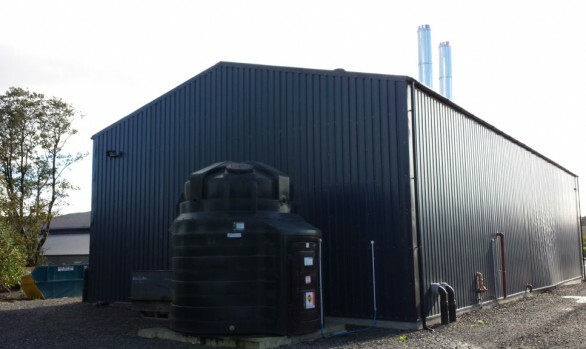 Full turnkey solution including: designing and building a dedicated 70ft by 140ft biomass energy building, installation of all underground pipework, full plumbing and electrical works up to the site distribution pumps. 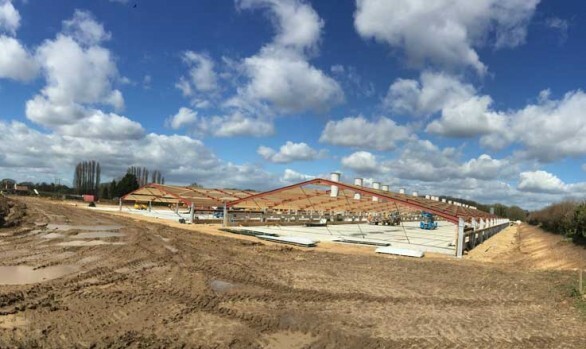 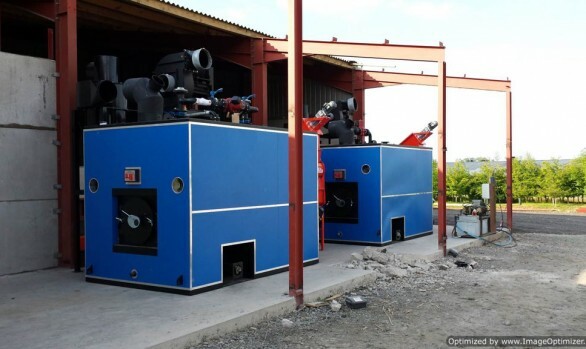 System comprises 2 x C995kW Ökotherm boilers, each of which has a 30,000 litre buffer store, a fuel store with capacity to hold 500 tonnes of woodchip, and two specially designed 6m-by-4m moving floors to feed fuel into the boilers. 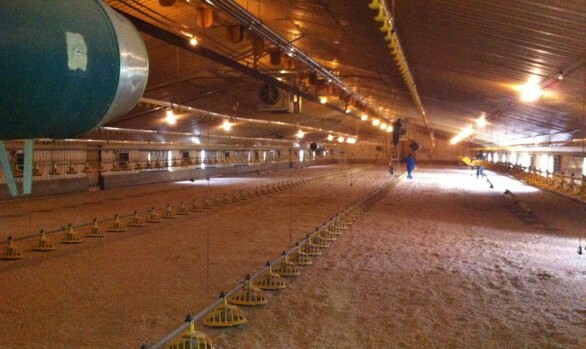 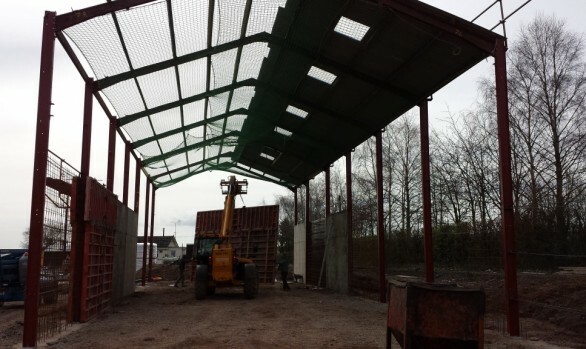 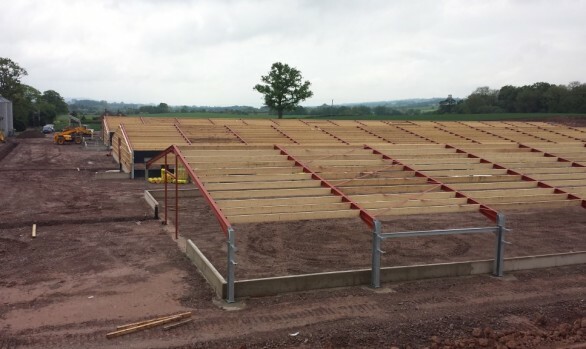 Significantly reduced costs for heating the six poultry houses, which each measure 450ft by 70ft. 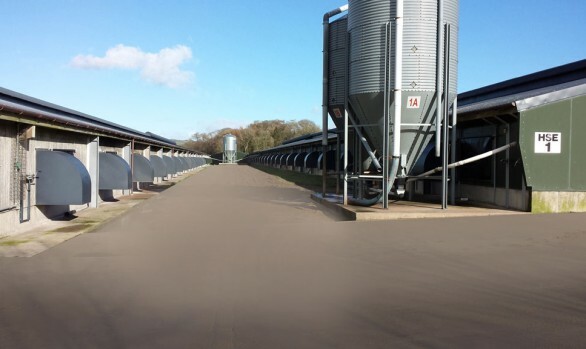 IEC managed all the applications to ensure Farmpoint qualified for the RHI, which will offset the initial cost of installation and generate an extra income. 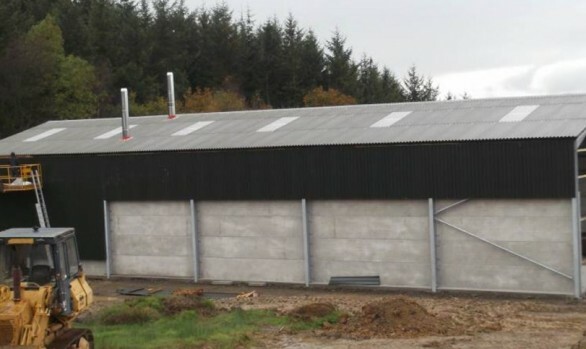 RHI income is expected to total approximately £3.2 million through 20 years of payments. 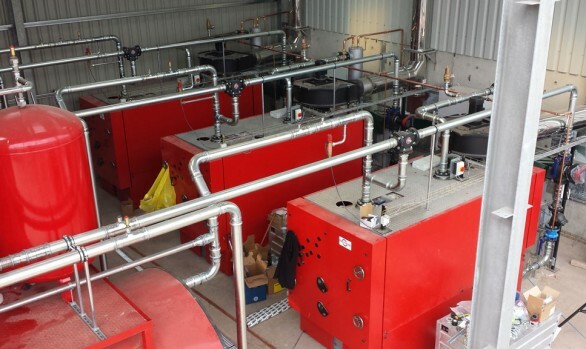 Ongoing aftercare and maintenance support including servicing of the boilers and regular checks to ensure the installation remains RHI compliant. 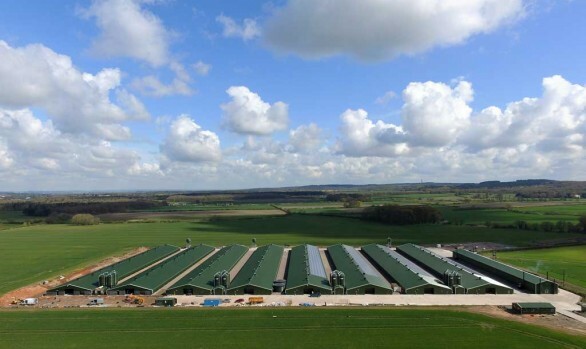 Farmpoint has chosen to burn low-grade woodchip, currently one of the cheapest biomass fuel options. 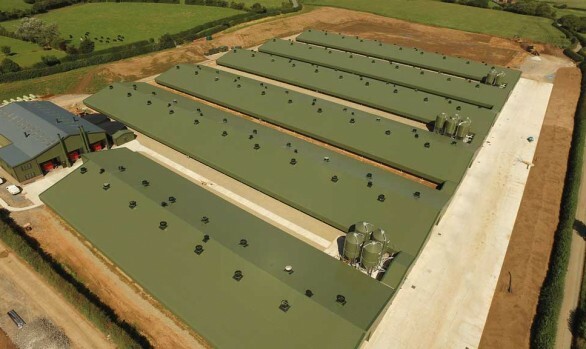 If biomass fuel prices were to change in the future, the whole system can easily be adapted to suit an alternative, ensuring Farmpoint will always be able to select the most cost-effective option.